The workplace of tomorrow demands devices and solutions that support collaboration, productivity, security and mobility. Brother can drive your business forward. How can Brother products, workflow solutions and professional services help support your business? Fill out this form to start talking with a Brother Solutions Specialist. *By entering your email address, you agree to receive emails from Brother International Corporation. Your privacy is extremely important to us. Brother delivers custom workflow solutions, secure, mobile and cloud-ready technology and the unrivaled support of the Brother Special Solutions Team. Find the latest news from Brother, including hot topics on document imaging, industry trends, and insights. The award-winning series of Brother Workhorse MFPs, printers and scanners will get your business humming. IT security threats and their impact on businesses continue to make noise. 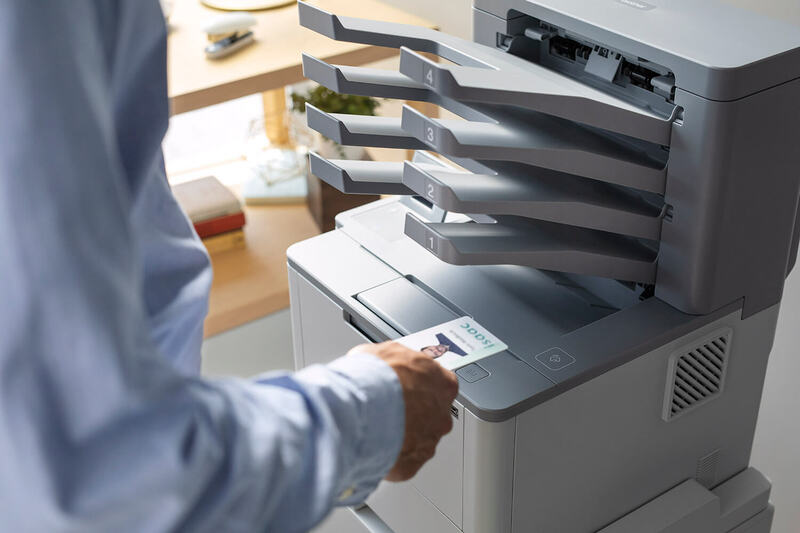 Security programs need to address the unique characteristics of print environments as an ongoing, mission-critical business information function. With the right security infrastructure in place, you can be ready to take on print security threats. Download key research from IDC to learn more. The average total cost of a security breach is over $815,000, according to IDC. Learn how you can turn your organization's security up a notch. Hear from Keith Kmetz, Program Vice President of IDC, on how advanced device, document, and network security can improve your bottom line. Operating at peak efficiency on the federal, state or local level is a serious responsibility. Brother solutions can help deliver the cost-savings, security and reliability your constituents expect. Rapidly-evolving technology brings rapidly-evolving challenges for efficiency, security and compliance. Trust Brother to keep you ahead of the curve. No matter the goods and services, Brother has the solutions to drive your business forward – from retail store locations to corporate HQs. Brother manages the complexities of healthcare regulations, privacy and liabilities with products and services that improve workflow and increase efficiency. From financial services and legal to insurance and manufacturing, Brother can help your corporate and remote environment work in harmony, while helping to meet critical business needs.